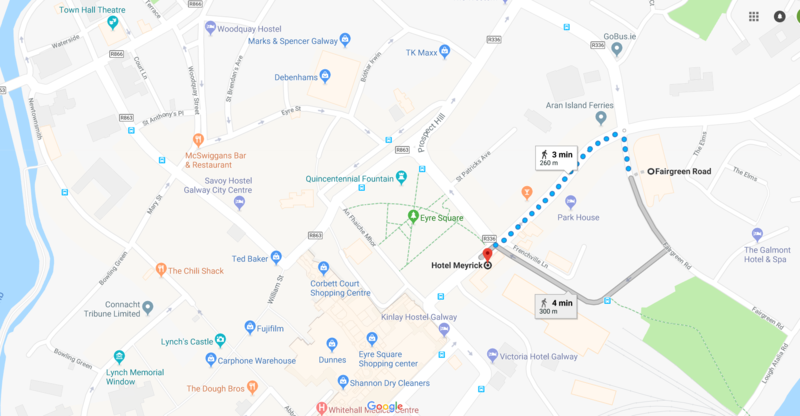 The MBI 2018 meeting will be held at Meyrick Hotel, Galway. We have negotiated special rates for conference delegates and accompanying person(s), which are €99 euros for Bed & Breakfast for single occupancy and €139 for Bed & Breakfast for double occupancy. To book your accommodation, please contact the hotel directly at reshm@hotelmeyrick.ie. For reference, please use either 1152971 or Matrix Biology.